100 1 %a Michnik, Adam %d (1946- ). 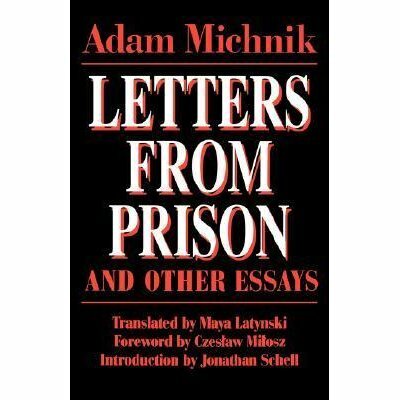 245 1 0 %a Letters from prison and other essays / %c Adam Michnik ; translated by Maya Latynski ; foreword by Czesław Miłosz ; introduction by Jonathan Schell. 260 # %a Berkeley [etc.] : %b University of California Press, %c copyright 1985. 300 %a XLII, 354 strony ; %c 22 cm. 500 %a Translated from Polish. 653 # # %a Political prisoners - Poland - Correspondence.